Postwar America is off and running! The Baby Boom is progressing nicely, the average annual salary is $4600, and a loaf of bread costs 14 cents. Cleveland wins the World Series, the LP record is introduced and A Gentlemans Agreement wins the Academy Award for Best Picture for 1948. 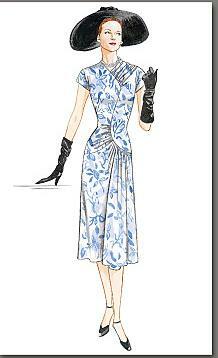 #N205 A lined dress is loose fitting over bustline and hip, fitted at the waist. 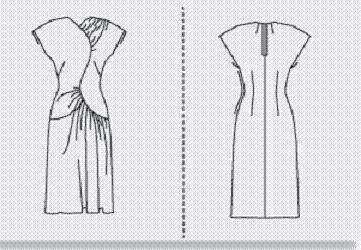 Bodice front is shped with a drooped shoulder line and cap sleeves This dress is constructed using a period pattern made to modern measurement.